A burgher’s home originally dating from 1776, Uphagen House in the centre of Gdańsk is now a museum. It has the tall narrow frontage typical of the city and even more typical, an elaborate gable. The rebuilt historic heart of Gdańsk is rammed with gables of every kind: pointy, pointier, crenellated, crow-stepped, turreted, Dutch, Flemish, painted, flat-headed, chimney-like and so on. 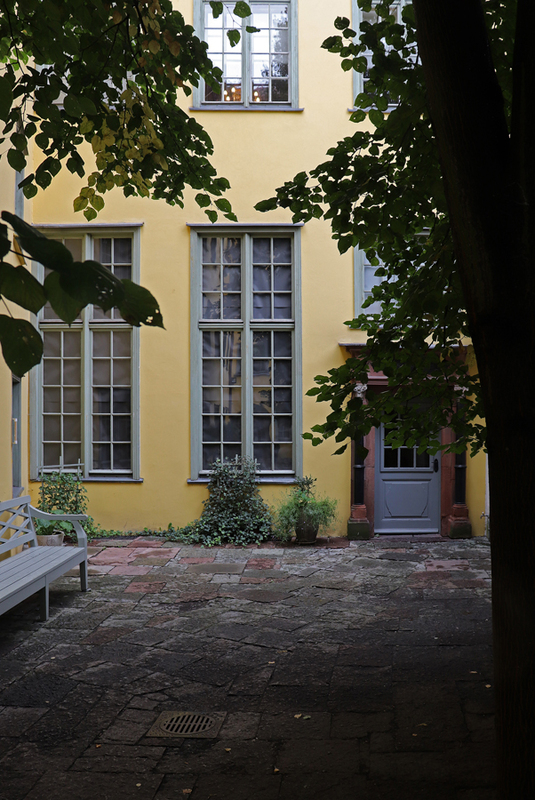 Once more typical of the city, Uphagen House has a long, long plot. A courtyard provides natural light to mid-plot rooms and acts as a sanctuary of restfulness. In 1942, with great foresight, the Government Minister Fritz Kibel surveyed and photographed the house. Fittings including panelling, doors and stove tiles were dismantled and sent to storage. Three years later the house was burnt down during World War II. In 1953 its reconstruction by architects Ryszard Massalski and Kazimerz Orlowski took place with great gusto. In place of the patina of age is a 20th century historicism. In 1998 Uphagen House won the Special Award for Modernisation of the Year. This entry was posted in Architecture and tagged fritz kibel, kazimerz orlowski, lavenders blue, ryszard massalski, stuart blakley, uphagen house gdansk. Bookmark the permalink.